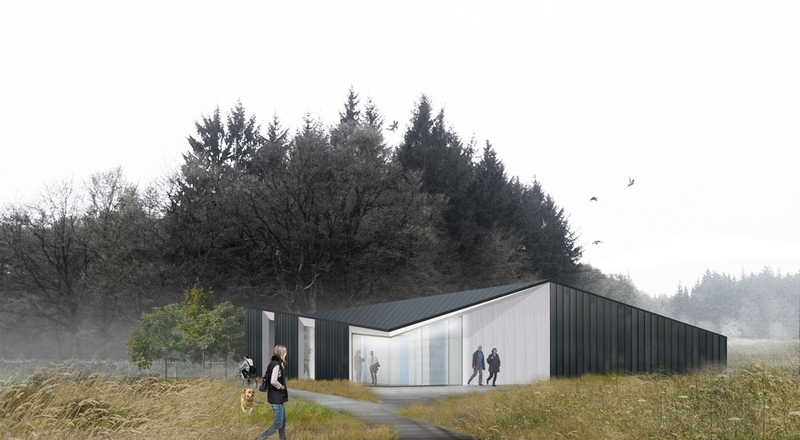 Oliver Chapman Architects have been working with Stewart Milne Group to create a new visitor centre as part of a new masterplan for Countesswells outside Aberdeen. This new mixed-use development features over 3000 homes, as well as shops and new education and medical facilities. The folded zinc form of the visitor centre creates a light and welcoming destination which ties into the wider landscape strategy developed by OPEN to encourage pedestrian movement through the site, connecting existing woodland and waterways with new leisure and equestrian routes.